Many pulping applications these days are of non-wood materials that may present complications for circulation type digesters. Non-wood pulps can often restrict the circulation of liquor and thus make the digestion process inefficient and less uniform throughout the batch. The Rotating Type Lab Digester eliminates these problems. 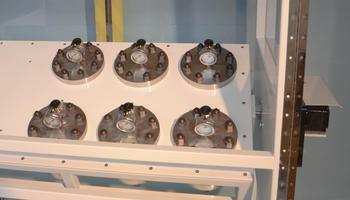 Unlike an autoclave digester, each vessel is independently heated and controlled such that multiple temperature profiles may be executed simultaneously. 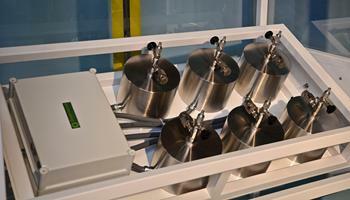 Each vessel is wrapped with a heating element and the vessel temperature is monitored. The temperature of the heater is also monitored in order to keep the heater running in a safe operating range for optimization of heater life. As with all of our digesters, the ASME certified vessels are constructed of 316 stainless steel for longevity and safety. The image just above (Six Vessel Rotating Digester Top) shows the upper side of the rotating platform with six vessel covers with pressure guages, and cover valves. The vessels are available in varying numbers and sizes. 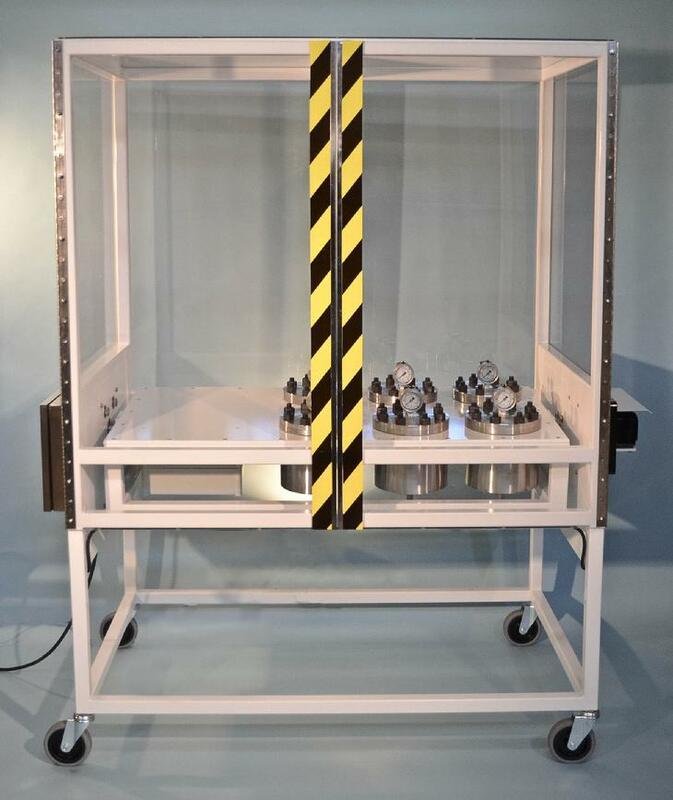 Each vessel contains a chip basket for easy removal of the material under test. The image just to the left shows the underside of the rotating platform with six vessel insulation covers, drain valves and safety rupture discs. The control electronics is mounted on the underside of the rotating platform with communication to the host personal computer. The Windows Graphical User Interface is simple and intuitive. Similar to the control for the circualation type digester, up to 5 ramp and soak times may be programmed, H-Factor control, temperature graphing, PID temperature control tuning, and heater temperature monitoring is all standard.